So, I was at Michaels this morning and I was a little startled to see a isle full of Christmas ribbon. Now, in all fairness it was just one isle – the majority of the store was Halloween themed. And I do have to admit that I got a little excited by all the cute Halloween crafts and items to alter. But the truth is that I’m not even ready for back to school yet – never mind tackling Halloween and Christmas. Is it really that time already? 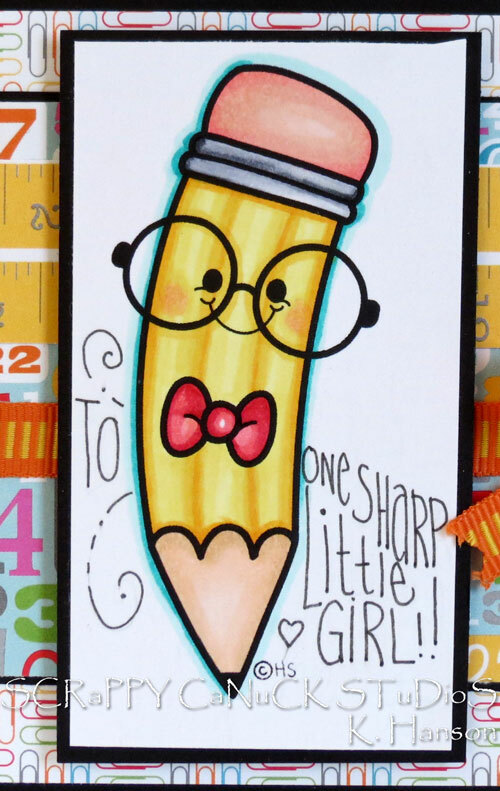 A nyway, in the spirit of tackling what is directly ahead of me and not months in advance, I thought I would share a little card I whipped up using a stamp from a company called 2Cute Ink, my favourite school themed paper from Doodlebug, and some new ribbon I picked up at May Arts!! The artist at 2Cute Ink is Heidi Arrowood and each month see sends out a newsletter with a free digi that you can download. This image was one of those freebees! In fact, there were actually two this month – a boy pencil and a girl pencil! If you didn’t manage to pick this one up, so can still buy it in the store. While you’re there, sign up for the newsletter because it is worth it for the month free digi (oh, and to participate in the freebee challenge on Facebook and perhaps win yourself another free image). For this little project, I coloured up the pencil with my Copics adding a bit of detail by shading some lines up the pencil . Looink at it now, the image would look relaly cute with some Glossy Accents on the glasses too! I hand lettered a little message and probably should have left a little bit of extra room for the message, but I think it works! This card has been entered into the challenge at MarkerPOP. 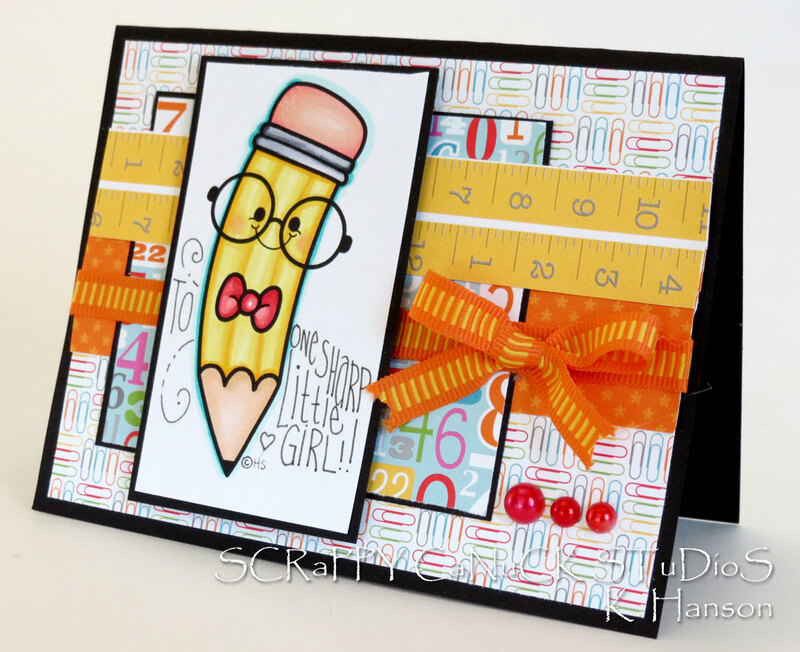 This entry was posted in Cards and tagged 2cute ink, back to school, card, pencil by Scrappy Canuck. Bookmark the permalink.